The American-Swedish Historical Museum is an example of how immigrant history and ethnic identity can be expressed in a museum setting. 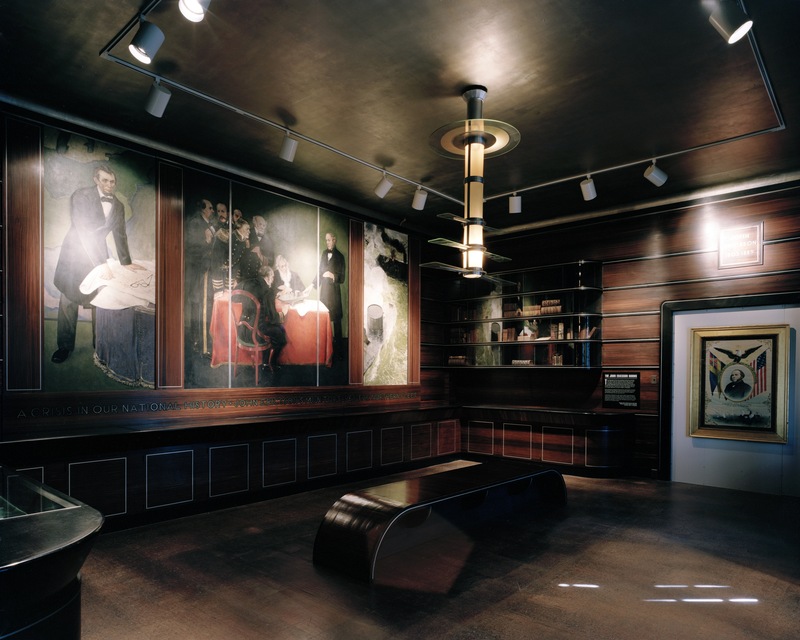 Swedish-American architect John Nyden designed each of the Museum’s galleries to serve as a miniature museum and library, complete in one room, devoted to a particular area of Swedish and Swedish-American achievement. Subjects included Swedish contributions to music, fine art, science and women’s rights. The design of the room related to the specific area of achievement. 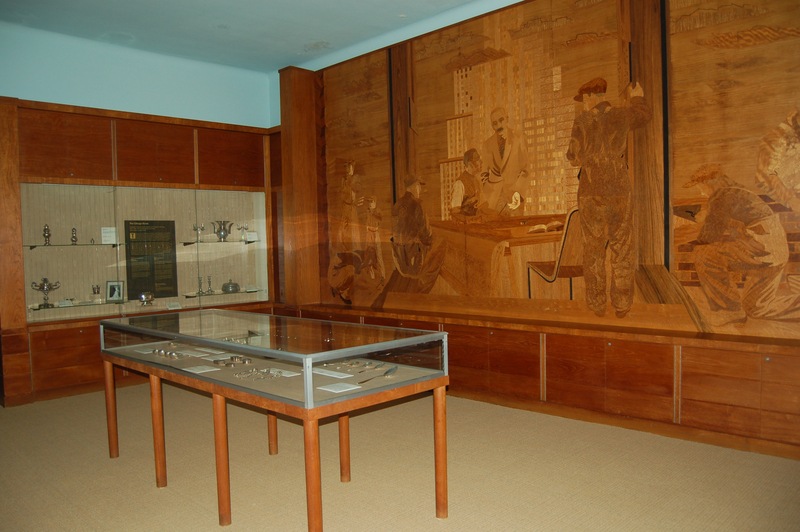 For example, the interior of the Builders’ and Manufacturers’ room, now known as the Chicago Room, was designed to evoke the idea of skyscrapers against the blue of the sky. Despite changes both in audience and in ideas about museum design since the first galleries were installed in the 1930s, many of the rooms retain a core element of the original plan to serve as a complete museum and library on one topic. Centennials have acted as powerful catalysts in the founding the museum, as well as in ongoing fundraising efforts.The idea for the Museum originated with Swedish-Americans’ desire to commemorate the tercentenary of the Swedish arrival on the shores of the Delaware River in 1630. The effort was led by Amandus Johnson, a Philadelphia author and historian who founded the Swedish Colonial Society, and Lutheran Reverend Julius Lincoln from Chicago, who was able to fundraise among that city’s large and affluent Swedish-American community. Rather than wait for the tercentenary, though, Johnson and Lincoln decided to use the Philadelphia’s 1926 Sesqui-Centennial Exposition as a springboard for building the museum. From his research into the New Sweden colony’s history, Johnson knew that the Exposition would take place on land that was part of a grant Sweden’s Queen Christina gave to colonist Sven Skute in 1653. This large swathe of land, known as League Island Park, encompassed what is now the stadium area, Marconi Plaza, FDR Park and the Packer Park residential neighborhood.Construction of a permanent building on the Exposition grounds began in 1926, and was completed by 1938, in time for the celebration of the 300th anniversary of the Swedish presence in the Delaware Valley. In the early 1970s, there were rumors that the park around Philadelphia’s Gloria Dei (Old Swedes’) Church near Columbus Boulevard could be the site for the Bicentennial celebrations in 1976. This led the Museum to consider closing down the present Museum, which was underfunded, and making a fresh start at that site. A special committee appointed to look into the idea was divided, and submitted two proposals. One advocated closing the Museum and continuing work as a foundation at a site close to Gloria Dei. The other recommended continuing as a museum, but using the Bicentennial and a visit from Swedish royalty as tools for revitalization. The latter plan was adopted, and ever since, the Museum has used historical commemorations to strengthen itself. 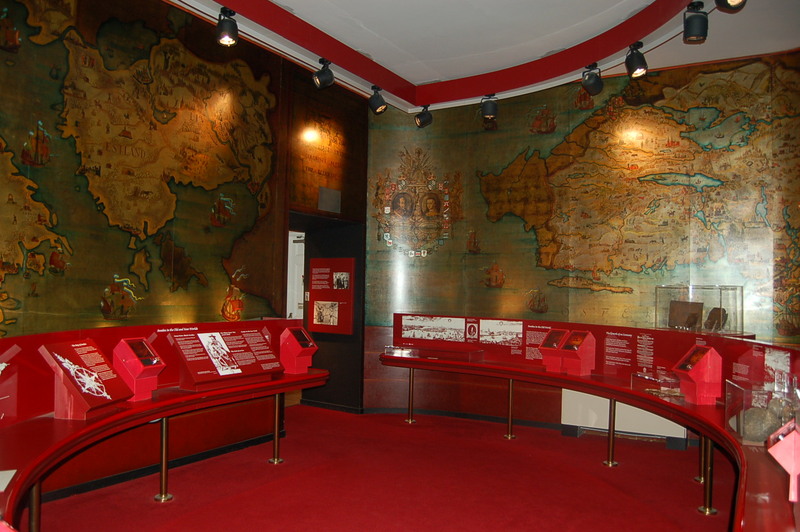 Today, the Museum has 12 permanent galleries displaying a broad collection of artifacts. 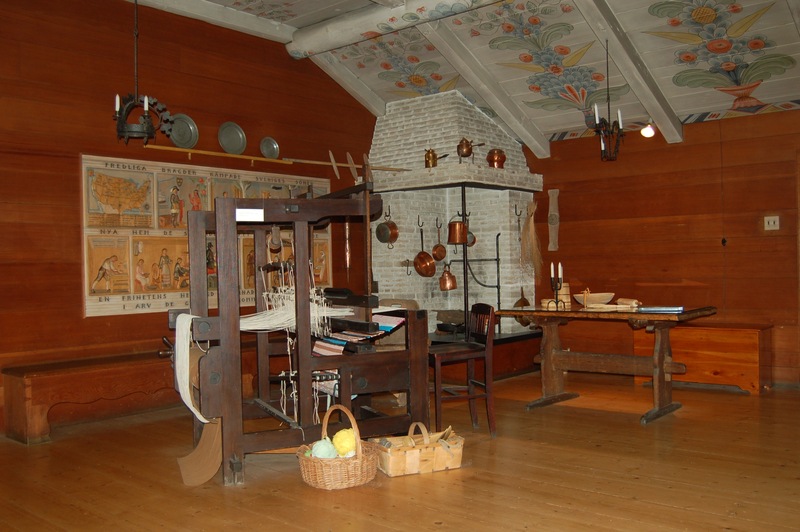 A Swedish farm-house interior, or stuga, honors the large wave of Swedish immigration during the second half of the 19th century. A second gallery is dedicated to Alfred Nobel and the Nobel Prizes. Other galleries, ranging in style from Art Deco to International, concentrate on Swedish achievements, including those of John Ericsson, who built the battleship Monitor; Fredrika Bremer, novelist and women’s rights activist; and Jenny Lind, the soprano. 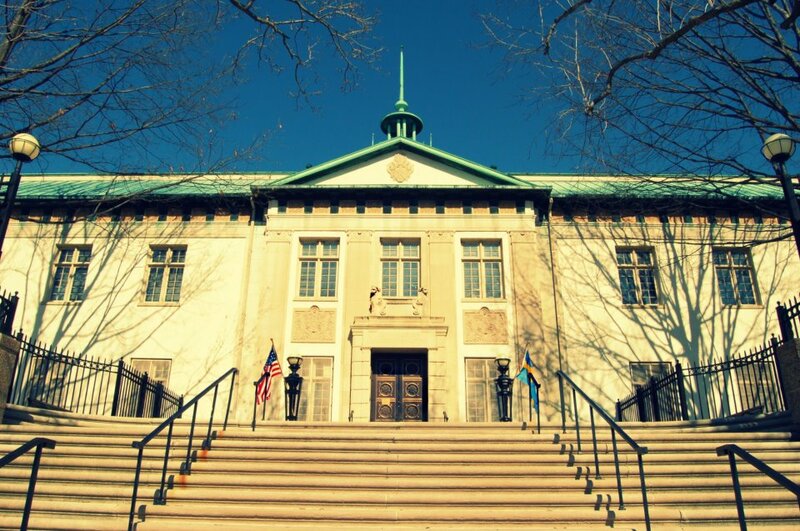 The American Swedish Historical Museum is an active museum with exhibitions, public programs, and facilities use by renters (especially weddings). This site is particularly suited for projects that respond to its mission and history. Artists will need to work closely with museum staff to design installations which protect the historic architectural interiors and do not prohibit the museum’s regular functions.